Has your PC stopped working? GY Computing are able to offer an extensive testing service, to establish the exact cause of your PC problems. 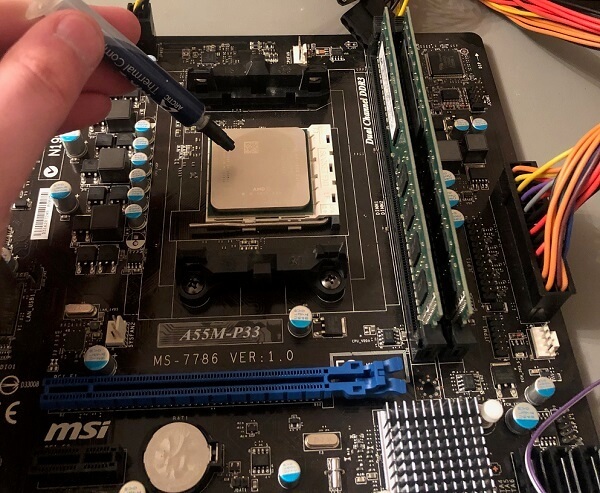 This may be, for example, a problem with your PC powering on, which tends to relate to the power supply unit, or motherboard. Other common issues include CPU fans not working, hard drives failing and RAM failing. Common symptoms when a piece of hardware fails include a blank screen on your monitor, the computer failing to turn on, or the computer shutting itself down after a prolonged period of time. Is your PC slow and noisy? Perhaps it's time to consider replacing some of the components with newer editions! This tends to work out a lot cheaper than buying a new desktop computer. GY Computing are able to upgrade almost any component within your PC including the motherboard, CPU, graphics card, RAM, hard drive, fans and WIFI cards. The most common upgrade we are asked to carry out relate to the installation of SSD drives, which offer impressive speeds, in comparison to mechanical hard drives which are big and bulky! SSD drives are faster, more reliable and more energy efficient! Is your PC noisy? Perhaps a buildup of dust is putting unnecessary pressure on the fan. 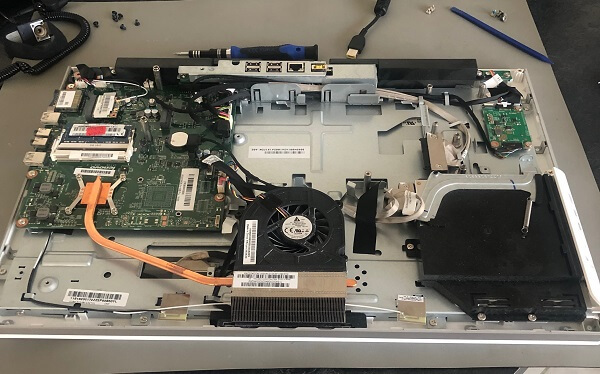 We’ve heard of various ways customers clean their PC - some very dangerous indeed such as using hoovers, and even dusters - a huge static collector which can shock the components, rendering them useless. These are just some of the types of problems we can help you with. Get in touch to get your PC fixed. You don't have to take your computer to a repair shop. We come to your home to fix it, for no extra charge. 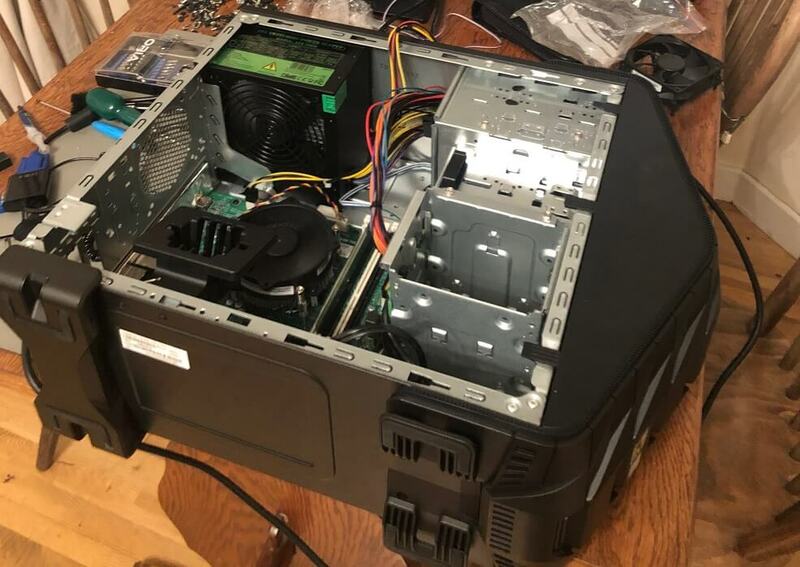 We aim to fix your computer within 24-48 hours at the most. Sometimes we can fix it quicker than that. What we quote is what you pay. No hidden extras or nasty hourly rates to worry about. We've fixed hundreds of computers for our customers in Glasgow, Ayrshire & beyond. 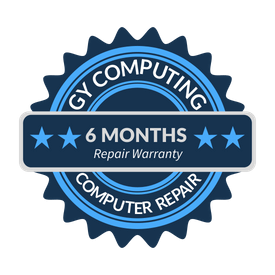 GY Computing is dedicated to upholding the highest level of customer service and computer repairs. Our peace of mind 6 month warranty is extended to you as a demonstration of our commitment to 100% customer satisfaction. Simply the best! Gregor kept me informed when he was going to come out and also advised me what to buy. 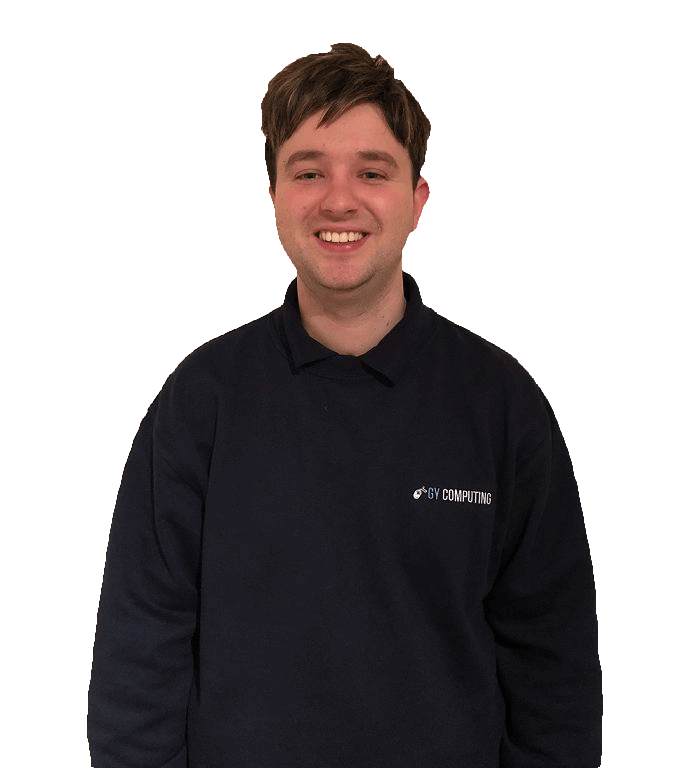 Hes that good I have also booked him for another job!Brilliant young man. What problem did you have with your computer? Our office computer would not boot to Windows. It was continuously stuck in a loop after a Windows 10 update. It was vital we got this fixed as all our business documents were on this computer. Why did you choose GY Computing? We choose GY because of the positive reviews online, and also the positive attitude over the phone when we first made contact! What have the results been so far? The computer is back up and running – thank goodness! Also, we got some additional work done including the set up of a networked printer, and a cloud-based system to protect the critical business documents in the future that we cannot afford to lose. What did you like most about the service? Gregor was very understanding to our needs. He listened and identified what was important to us as a business, and done a brilliant job achieving it all! Glasgow, Prestwick, Ayr, Troon, Irvine, Kilmarnock, Ayrshire, Paisley, Renfrewshire, Lanarkshire, Airdrie, Coatbridge, Clydebank, Dumbartonshire, Inverclyde.